These interviews were conducted by/for FightingStreet.com. 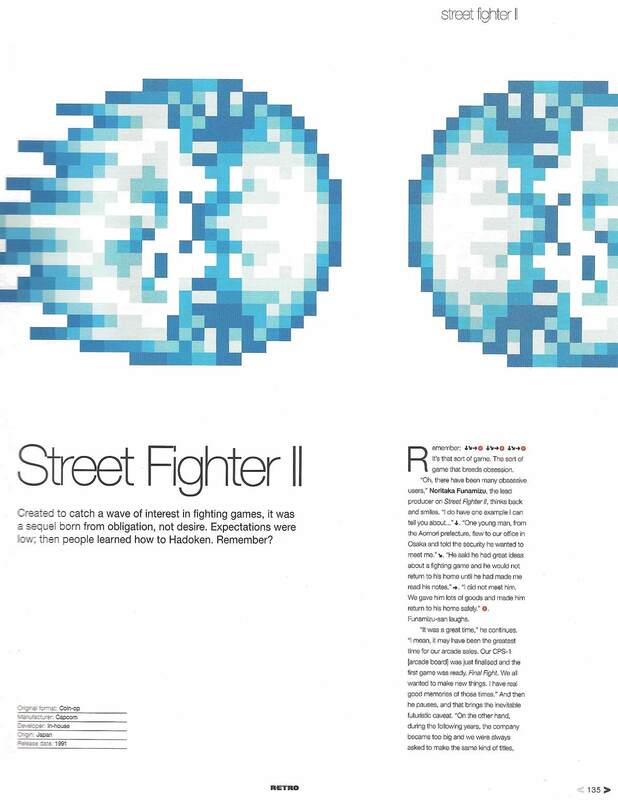 Interview with Mick McGinty, creator of the US covers of the Street Fighter II series and more. 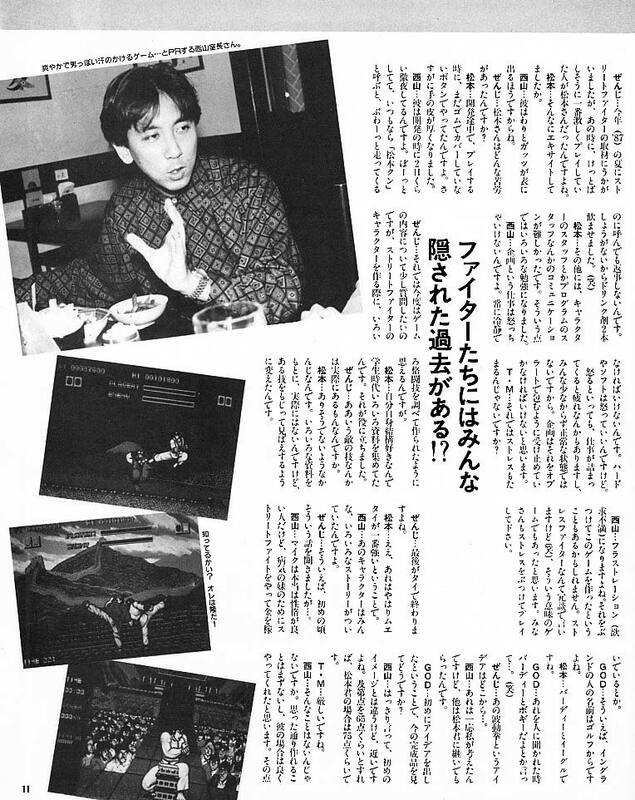 Here's a list of various Street Fighter and Capcom related interviews on the web. If you got more, send me the link please. Also if you have an interview planned and want people to submit questions, send me a mail so I can promote it for you. 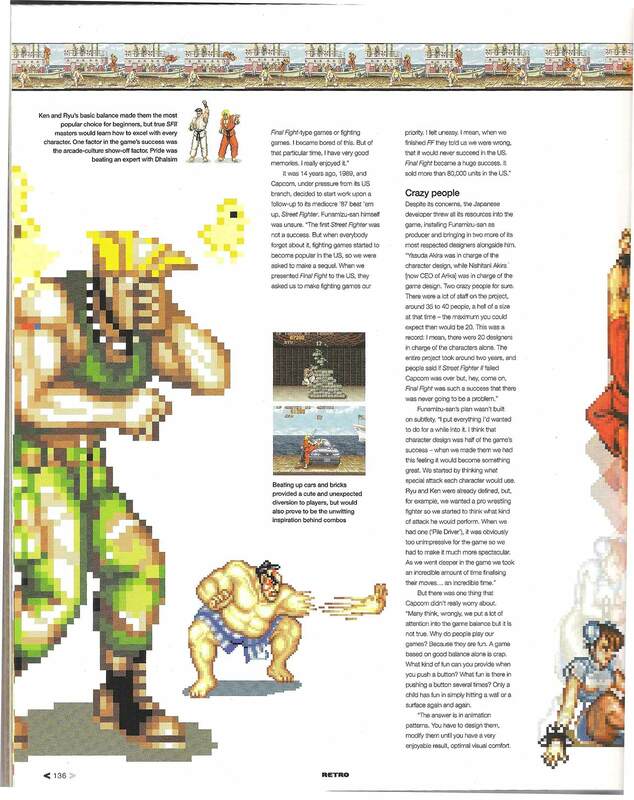 Interview with Masayuki Endou, Sound Director and Hideyuki Fukasawa, Composer (SFIV). Video Interview with Jack Simon, director of brand marketing Capcom USA. 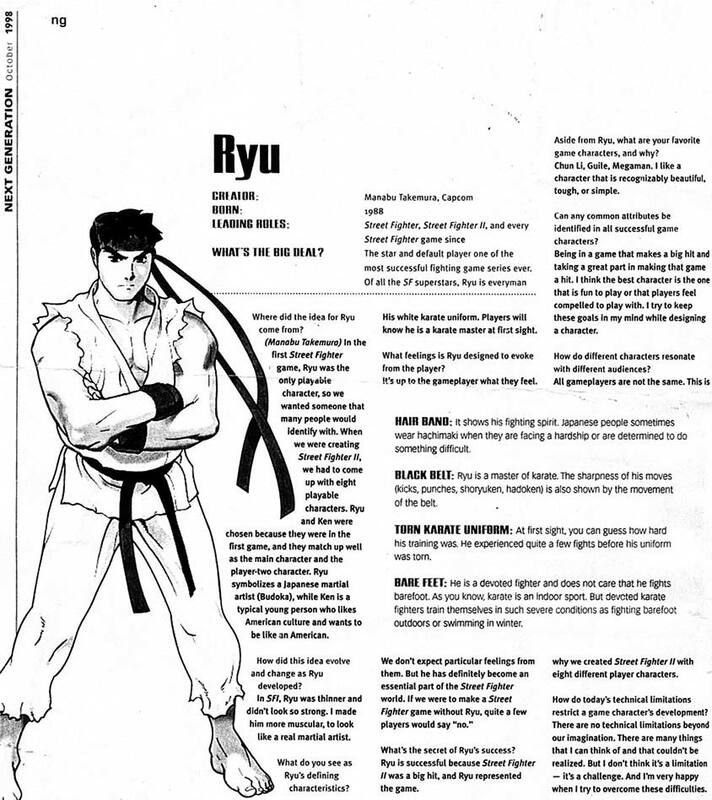 Interview with Alben Redroso, external producer at Capcom Entertainment (SFII' Hyper Fighting). Interview with James Goddard (inventor of Dee Jay) and Dave Winstead about WeaponLord and SF. Interview with Yoshinori Ono, SFIV producer/team leader. Interview with Germaine Giola, Senior V.P. of the licensing departments about SFIV. 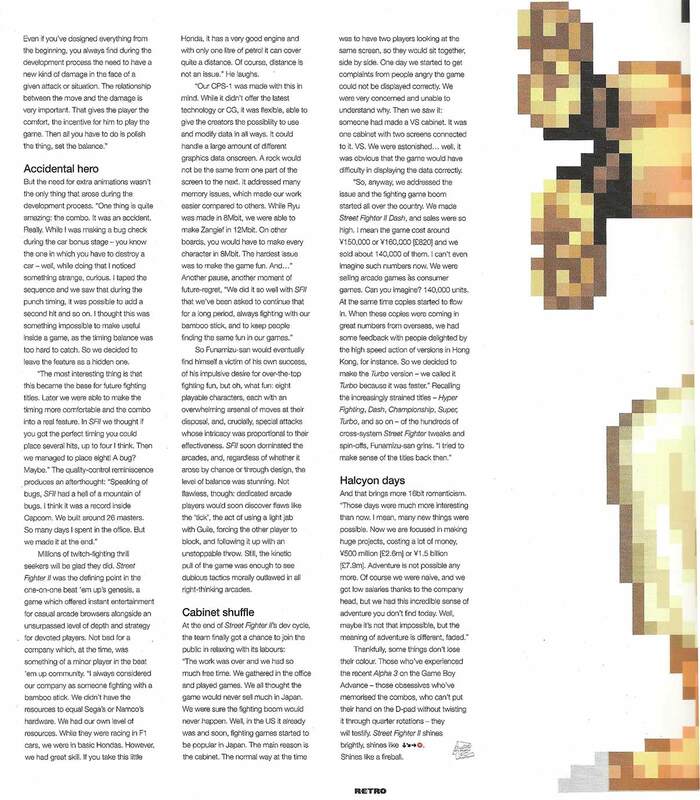 Interview with Seth Killian, Senior Community Manager about SFIV. Interview with Seth Killian, Senior Community Manager about Vampire/DS. Interview with Chris Jelinek, Vice President. 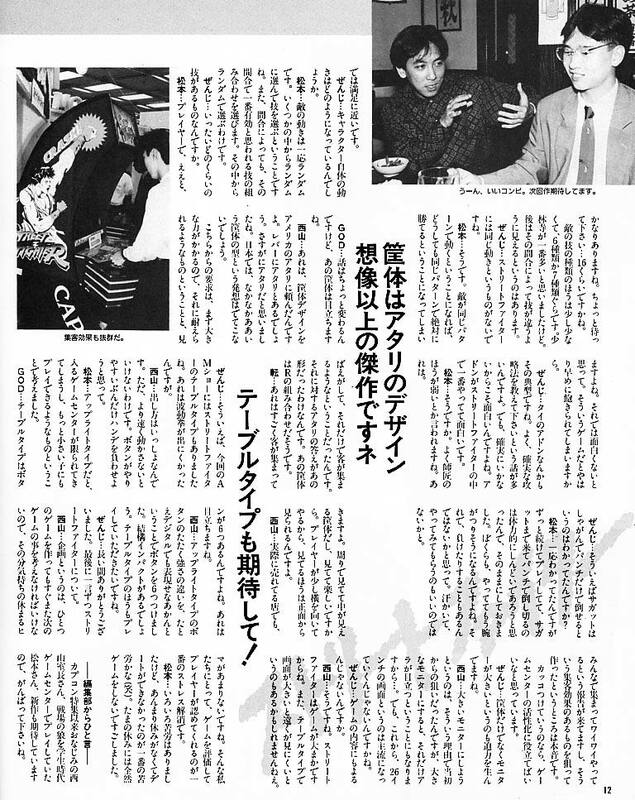 A series of interviews with Japanese video game greats including Capcom emplyees. 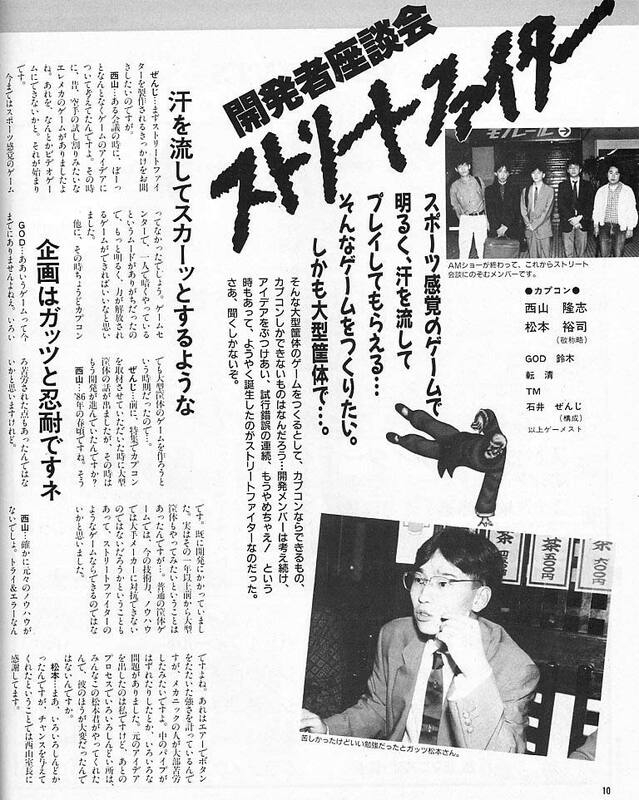 Interview with Atsushi Inaba, former Clover head and former SNK employee. Interview with Robert Stickel from Sabertooth Games. Interview with Jim Zubkavich, UDON’s Project Manager.